A few years ago, Father Christmas bought the boys the Paw Patrol Cruiser. It was colossal. Huge. And as Lyoto grew out of it, I passed it onto a friend whose little girl adored it. Naturally no sooner had I given it away feeling quite pleased with myself, did Hero fall in love with Rubble, literally on the double, and wanted a Cruiser of his own. 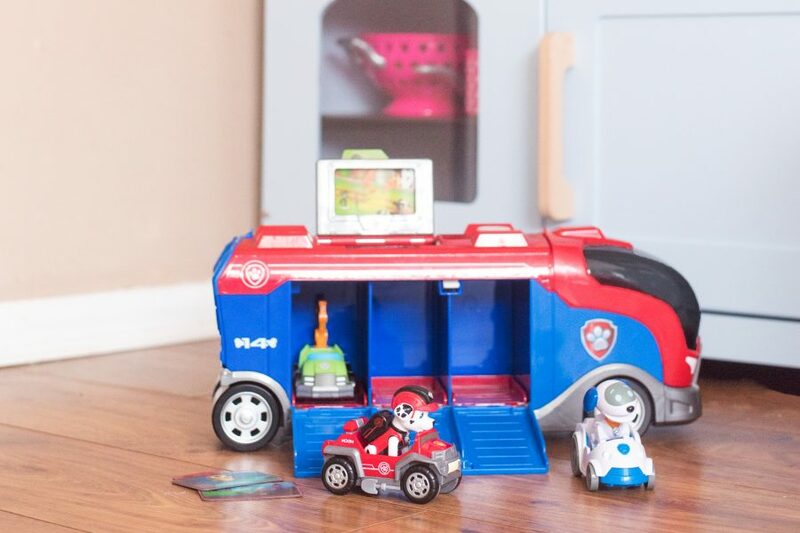 Delightedly this week we were invited to review the ALL NEW Paw Patrol Mission Cruiser from the Mission Paw Series, and some little Paw Patrol vehicles too. It’s the perfect time for Hero as his big brothers celebrate their birthdays this week – and when you’re three years old and it seems like everyone else in your family is getting presents and cake, it feels a bit sad. Aww. The Mission Cruiser comes with Robo Dog [apparently Jensen’s favourite Paw Patrol Pup] and his little vehicle, and as we were also sent two more of the gang, everyone could join in. They were desperate to do an “unboxing video” independently and all I’ll say is that it’s, er, realistic – or a “natural” unboxing video. 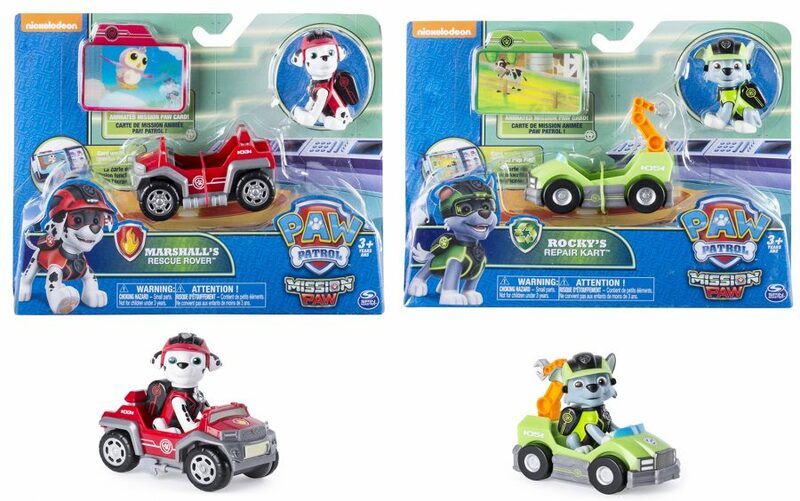 The Mini Vehicles come with a pup and a Mission Paw card, which is lenticular and shows a scene from a mission. 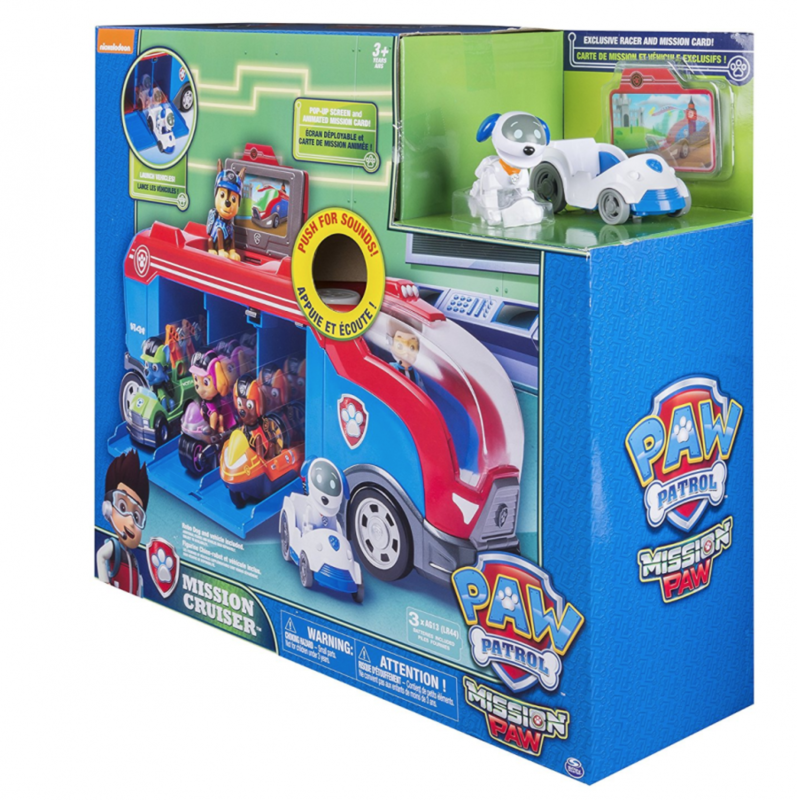 Each of these slots into the top of the Paw Patrol Mission Cruiser, and also into the Pup Pad which you can buy separately. That the batteries are included and the toy is ready to be played with! That this Cruiser is half the size of the first one, and still as amazing. I even think I prefer this one as the little doors pop open and it’s easier for them to play with. 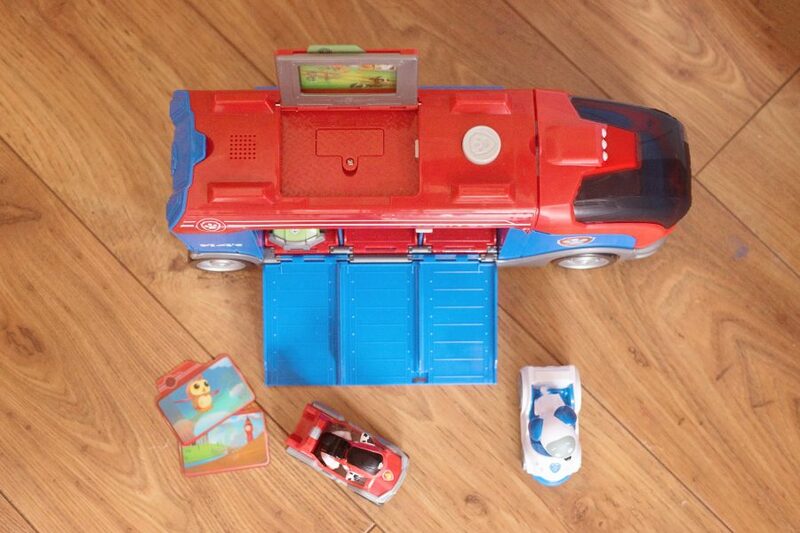 The sound effects – the vehicle sounds exciting and the boys love pressing the button, hearing the sounds as the door pops open and the top flips up. The addition of the little card station to display the missions which flips up – it adds a little drama to the game. That we could fit all of the pups into the Cruiser – as a parent I like toys which can store all of the accessories in one place. That it was a little easier to fit the pups into the mini vehicles – there are little pips which the Pups’ feet connect to, and it’s quite fiddly even for me to do – Hero got quite frustrated trying to sit them in properly. That being said, once they are in the vehicles properly, they won’t fall out which is great when they’re being pushed along. 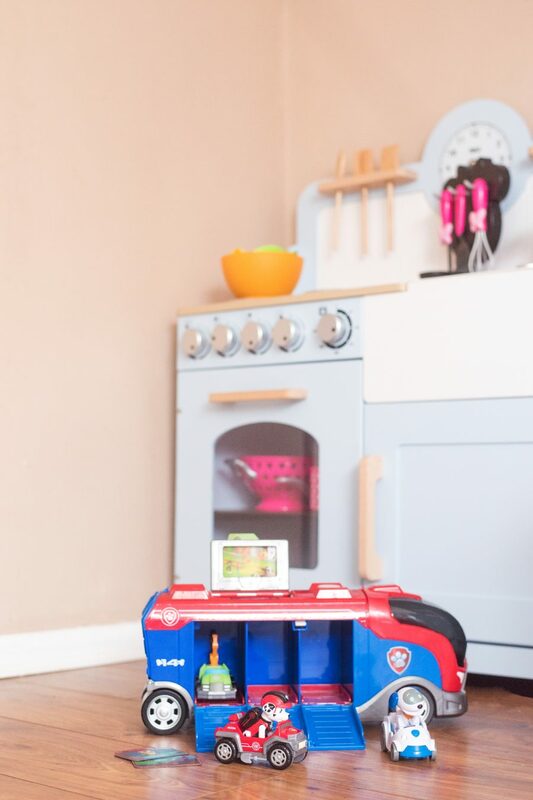 We love the Mission Cruiser and the Mini Vehicles – they lend themselves to so much free play and many other characters have already hitched a lift on adventures with the Pups. We’d absolutely have them on our birthday and Father Christmas lists.